Dr. Julia Seton-Sears, born in Decatur, Illinois, was an influential new thought lecturer and writer, and the founder of the Church and School of the New Civilization, was an important figure in the development of the New Thought movement from the esoteric and metaphysical point of view. She also exercised a considerable influence over Fenwicke Holmes and Ernest Holmes, founder of the Religious Science movement. For awhile, Julia Seton Sears lived in Boston where she trained to be a medical doctor, then later returned to Colorado to practice medicine. 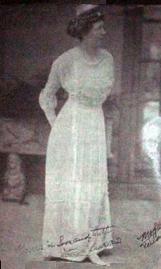 Between 1902 and 1914, Dr. Julia Seton married Franklin Warren Sears. Julia instructed her husband in the New Thought philosophy and he would later branch out as a New Thought teacher and writer on his own. The couple would later divorce and go their seperate ways. In 1937 she started the New Civilization Center in Ocala, Florida. Seton actively created a New Civilization City Foundation, considered a non-profit association for all humanity. Julia Seton began traveling around the world giving lectures. She wrote many books around this time. She brought the Ancient Wisdom into practical use in the new age. The philosophy and secret doctrines of Egypt, India and Greece were as well known to her as though she had also been an initiate in the ancient temples and schools of philosophy, such as those of Zoroaster, Osiris, Orpheus, Pythagoras and Plato.